When do you have to stop for school buses? A lot of people are confused on where and when people are supposed to stop for school buses in Seattle. Some people believe that oncoming traffic doesn’t have to stop but the cars behind the bus do have to stop. When do you have to stop for school buses? According to RCW 46.61.370 and SMC 11.53.440, you must stop for school buses if you are traveling behind the school bus no matter the type of road or highway you are on if the school bus driver has their amber stop sign out and flashing. If you are going the opposite direction of the school bus, you must stop for the school bus on all roads except those divided by a barrier or roads with three or more lanes or traffic going each direction. Stopping for school buses is for the safety of the children on the bus that need to cross the street to get to their house or get onto the bus. Not stopping for buses creates a danger where young children may run into the street and possibly get hit by a car causing a car accident to the young pedestrian. 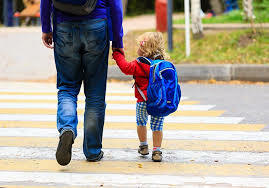 Stopping for school buses helps avoids pedestrian car accidents to young children and preventing significant injuries suffered in Seattle car accidents. Fines for not stopping for a school bus with a stop sign out on the bus are double and are $419 in King County. The Seattle school district along with others school districts in King County have installed high resolution cameras on their school bus stop signs to take pictures of license plates of cars that do not obey the stop sign of school buses. The pictures are sent to King County Sheriff to enforce. During a pilot program last year, Seattle school district officials said they recorded nearly 600 vehicles passing a stopped school bus over 112 school days. While it’s against the law to pass a stopped bus, bus drivers don’t have time to record license-plate numbers and other information on their own. 11.53.440 – Overtaking and passing school bus. Except as provided in subsections C and D of this section, the driver of a vehicle upon overtaking or meeting from either direction any school bus which has stopped on a roadway for the purpose of receiving or discharging any schoolchildren shall stop the vehicle before reaching such school bus when there is in operation on the school bus a visual signal as specified in Section 11.82.520 and the driver shall not proceed until such school bus resumes motion or the visual signals are no longer activated. The driver of a school bus shall actuate the visual signals required by Section 11.82.520 only when the school bus is stopped on a roadway for the purpose of receiving or discharging schoolchildren. The driver of a vehicle upon a street divided into separate roadways as provided in Section 11.53.080 need not stop upon meeting a school bus which is proceeding in the opposite direction and is stopped for the purpose of receiving or discharging schoolchildren. The driver of a vehicle upon a street with three (3) or more marked traffic lanes need not stop upon meeting a school bus which is proceeding in the opposite direction and is stopped for the purpose of receiving or discharging schoolchildren. 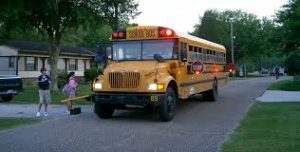 The driver of a school bus may stop completely off the roadway for the purpose of receiving or discharging school children only when the school children do not have to cross the roadway. The school bus driver shall actuate the hazard warning lamps a defined in RCW 46.37.215 before loading or unloading school children at such stops. (7) An infraction of subsection (1) of this section detected through the use of an automated school bus safety camera under RCW 46.63.180 is not a part of the registered owner’s driving record under RCW 46.52.101 and 46.52.120, and must be processed in the same manner as parking infractions, including for the purposes of RCW 3.50.100, 35.20.220, 46.16A.120, and46.20.270(3). However, the amount of the fine issued for a violation of this section detected through the use of an automated school bus safety camera shall not exceed twice the monetary penalty for a violation of this section as provided under RCW46.63.110. Whenever any highway has been divided into two or more roadways by leaving an intervening space or by a physical barrier or clearly indicated dividing section or by a median island not less than eighteen inches wide formed either by solid yellow pavement markings or by a yellow crosshatching between two solid yellow lines so installed as to control vehicular traffic, every vehicle shall be driven only upon the right-hand roadway unless directed or permitted to use another roadway by official traffic-control devices or police officers. No vehicle shall be driven over, across or within any such dividing space, barrier or section, or median island, except through an opening in such physical barrier or dividing section or space or median island, or at a crossover or intersection established by public authority. Pedestrian car accidents more often pedestrians’ fault? Walking is a very fun, stress relief type exercise. However, it can be very dangerous if you are not taking the proper precautions to make sure you are not hit by a car. Electric cars can come up on you very fast and without warning so it is always best to be 100% aware of your surroundings when entering a street from a sidewalk. 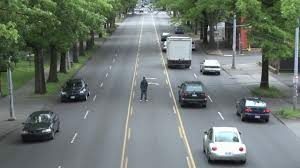 The Washington Traffic Safety Commission assessed the pedestrian versus car fatalities occurring between 2008 and 2012 in order to determine the factors that lead to such collisions. During this timeframe, 332 pedestrian fatalities were recorded in the state, which accounted for 14 percent of all traffic fatalities occurring during this time. Who is most likely to get hit by a car? The study showed that men were more likely to be victims of a fatal pedestrian car crash, accounting for 66.3% of pedestrian versus car deaths during this time. Additionally, the majority of the victims were between the ages of 45 and 65. The reason this is so could be that men take more risks and may be oblivious to certain risks sometimes when they run out into the street. They could believe that cars will stop for them so they walk out into the street before the car has stopped to let them cross the street. When are people more likely to be hit by a car as a pedestrian? 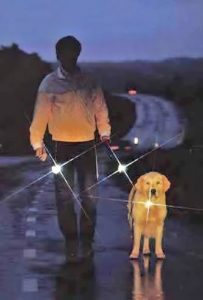 The study showed that most of the pedestrian car accidents were in October and March at night. It This could be due to the sun starting to set earlier in October and people trying to leave work at the same time walking across the street and possibly just after daylight savings time ends in March making it a little darker at night once again with one hour advance. Where are people more likely to be hit by a car as a pedestrian? You would think that most of the people killed in pedestrian car accidents were on residential streets but two-thirds of all pedestrians killed were fatally struck on an urban road and 45% were killed from crashes occurring on roads with speed limits between 35 and 50 mph, which are considered busier streets or highways. Only 30% occurred on roads with posted speed limits between 15 and 30 mph or neighborhood type roads or roads around schools. Are the drivers more likely at fault or pedestrians? Most people would believe that the driver was at fault for almost everyone of these accidents. However, distracted driving accounted for 19.8%, impairment occurred in 13.5%, and failure to yield happened in 12.6% of fatal pedestrian accidents. This means driver error only accounted for 45.7% of fatal pedestrian car accidents, which means the pedestrian was more likely to be at fault for a pedestrian car accident at 54.3%. Walking is a great exercise that can lower blood pressure and stress but make sure you walk the streets with care so as to protect you, your children, your friends, your family, and others. If you know of anyone injured as a pedestrian hit by a car, please give them my contact information for a free consultation to make sure they get the professional help they deserve. A Seattle personal injury lawyer is the best one to help guide them and their case to make sure they get what they deserve. Can you cross on a counting down blinking hand? Seattle is one of the worst cities for controlling pedestrians crossing the street, which has led to some of the worst traffic in a city. While there appears to be many routes out of the city, you will almost certainly be caught in only one car making a light during rush hour due to pedestrians continually crossing all intersections even when the hand is blinking stop. Many car accidents and traffic jams are caused by pedestrians darting in front of traffic. 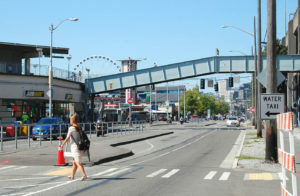 Can a pedestrian cross the street in Seattle with a blinking or steady don’t walk sign or hand? According to RCW 46.61.060 states that pedestrians may not enter the roadway when there is a blinking hand or do not walk sign. This means that anyone that enters the roadway when the hand signal is counting down is violating the law and jay walking. 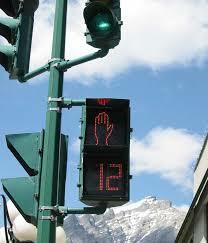 Is the countdown the time you have to cross the street and if you make it you are not jaywalking? The countdown is not the amount of time you have to cross the street. You cannot jump into the crosswalk and run across in time and be considered to be in compliance with the law. If you start crossing the street after the do not cross sign or hand starts to blink and countdown, you are in violation of the law. You legally cannot start crossing the street no matter if you can make it in time or not if the hand is blinking and the countdown has begun. Who is at fault if you accidentally hit a pedestrian that runs into the street without notice to you? Pedestrians generally have the right of way in cross walks and at unmarked cross walks. Cars have a duty to be mindful of people darting into the street and stop if possible to avoid hitting another car or person, according to RCW 46.61.245. However, pedestrians do not have the right of way to just run into the street without looking at traffic no matter if it is a cross walk or not. RCW 46.61.235(2) – No pedestrian or bicycle shall suddenly leave a curb or other place of safety and walk, run, or otherwise move into the path of a vehicle which is so close that it is impossible for the driver to stop. If you are injured in a car accident or hit by a car as a pedestrian, you have a lot more rights than may appear. You may have a case for personal injury damages even if the police report states that you are at fault. Preserve your rights and your case now by contacting a Seattle personal injury lawyer for your car accident injury case immediately.